Naomi Klein is an award-winning journalist, syndicated columnist and author of the international bestsellers This Changes Everything: Capitalism vs. The Climate(2014), The Shock Doctrine: The Rise of Disaster Capitalism (2007) and No Logo (2000). She is a member of the Board of Directors for climate-action group 350.org and in 2015 was invited to speak at the Vatican to help launch Pope Francis’s historic encyclical on ecology, Laudato si’. 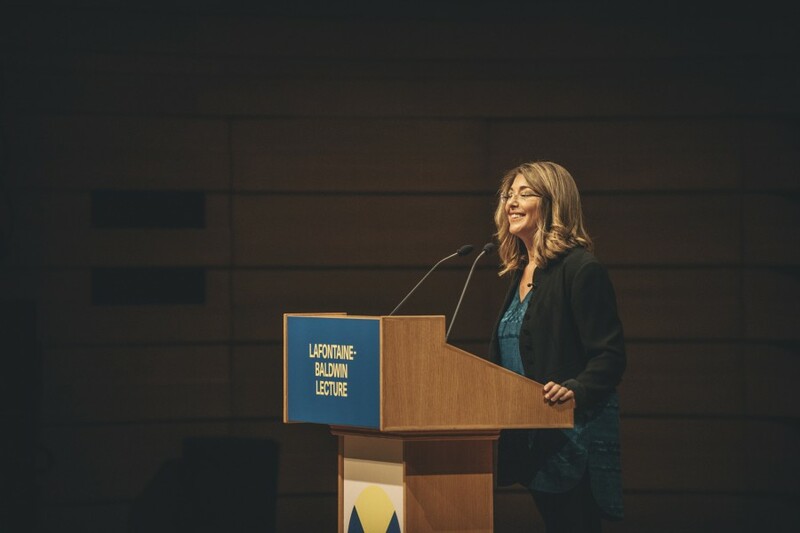 On September 19, Naomi Klein delivered the 14th LaFontaine-Baldwin Lecture, followed by an on-stage conversation with John Ralston Saul.